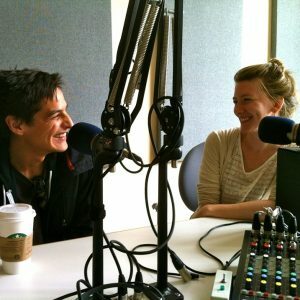 Cliff Cardinal and Elizabeth Kantor produced three award winning plays: Stitch, HUFF, and Maria Gets A New Life. They’re working on their fourth play Romanceship and a new play for young audiences, Sidewalk Chalk. Cliff is studying playwriting at The National Theatre School where Elizabeth is a recent graduate of Production.